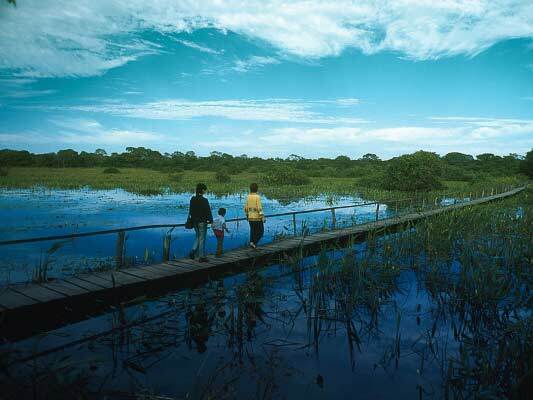 The Pantanal is the largest area of wetlands in the world and abundant in wildlife. 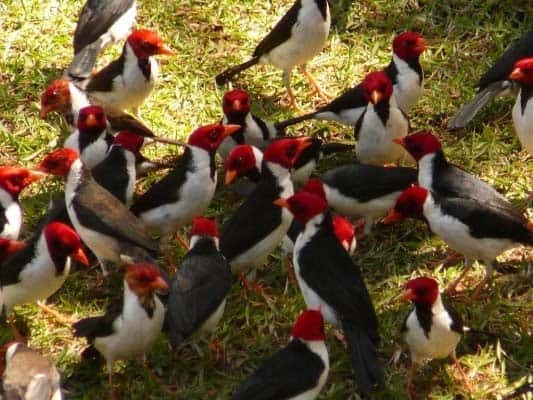 Unlike the areas of high jungle, the Pantanal is an open area of swampy grasslands, leaving some of the highest concentration of fauna in the continent exposed to view. In the dry season, scores of caiman laze on the river beaches, capybara (a type of giant guinea pig) stroll across the roads, and you may come across armadillos, anteaters and howler monkeys. This is also possibly the best place anywhere to spot jaguar. Transfer from Cuiaba to your Pantanal Lodge traveling through the National Park, there are plenty of opportunities to stop along the way and take photos. On arrival at the lodge you will head to a viewing platform for a spectacular sunset. After dinner there is a night safari. 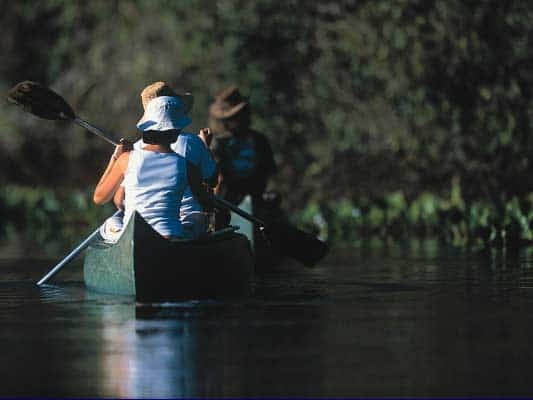 Explore the wetlands by canoe, jeep, or on horseback with expert naturalist guides. 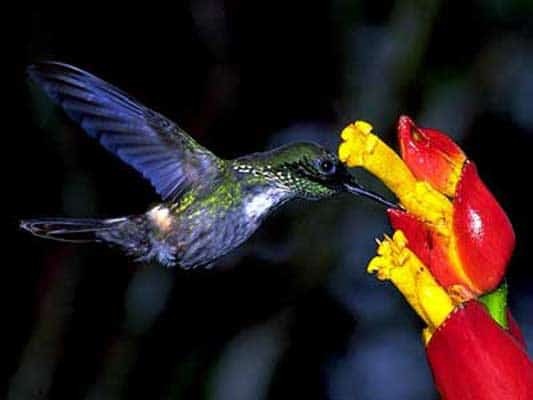 There are numerous excursions depending on local conditions and your best opportunities for seeing wildlife. A further day of excursions to explore the wetlands. You guides know exactly where to take you for the best photo opportunities. Fish for pirhanas and lambri fish, or take a horseback ride through the flood plains – a great way to spot wildlife. Option! 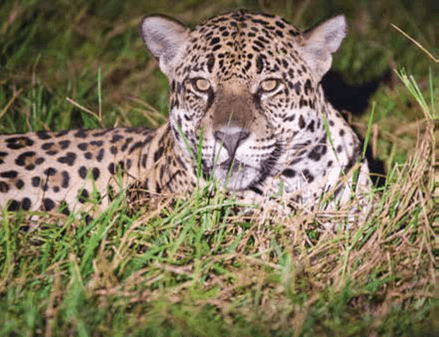 Continue to the Jaguar Ecological Reserve for an exciting Jaguar Tracking Safari. After breakfast return to Cuiaba with stops along the way for a last look at this fabulous ecosystem. Catch your flight from Cuiaba to Iguazu Falls. There we pick you up and take you to your hotel. Today we take you on a full day private tour of the Argentine side of Iguazu Falls. Here you can appreciate the power of the falls much closer up. There are walkways taking you to viewpoints above and below the falls and a convenient little train to save your legs! Many visitors are surprised at the abundant wildlife you can also see at Iguazu Falls from tropical birds to cute little Coati. In the afternoon you can return to your hotel to relax. We take you on a tour of the Brazilian side of Iguazu Falls – the place for the best panoramic views. From there continue to the airport for your flight to Rio. In Rio we pick you up and take you to your hotel in Ipanema or Copacabana. 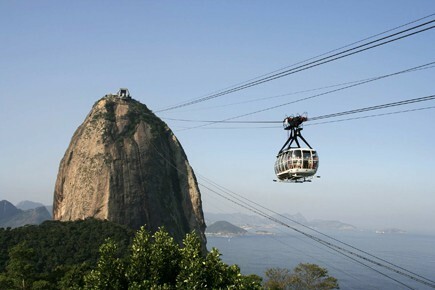 On your guided tour, visit Rio´s landmarks – The White Christ, Sugar Loaf, and the city center. The tour includes a traditional Brazilian BBQ. 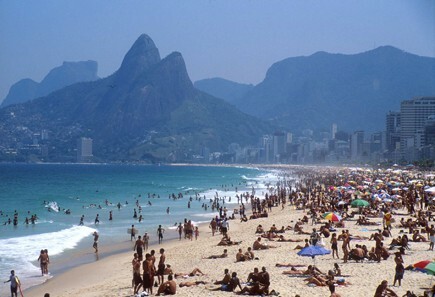 Enjoy an extra day in Rio to soak up the atmosphere on Copacabana and Ipanema Beaches. Optional tours include a trip to the Favelas, a boat trip to the quiet beaches off Rio, a specacular day of shopping or a night excursion to the home of the Samba.